Jetting off way too early on a Friday morning (after sprinting for the plane), I found myself in the heart of the Cold War’s most iconic city. 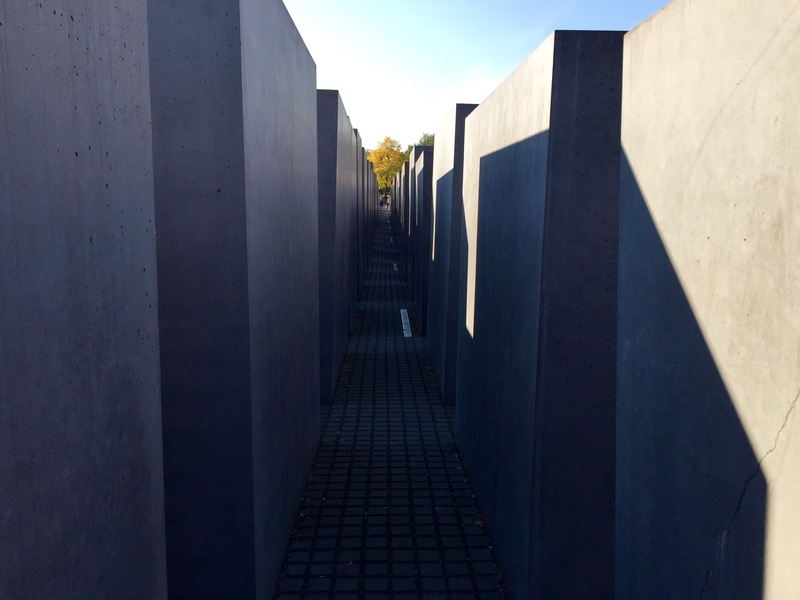 From the Reichstag to The Wall that divided the world for years, visiting Berlin, standing at the Brandenburger Gate, and touching the Berlin Wall were experiences I thought I would only ever learn about. Traveling with one of my best friends, we started the weekend off by getting a bite to eat and quickly fell in love with German cuisine. From chicken filets to pork skewers and of course lots and lots of potatoes, every meal suddenly turned into a feast no matter the time of day. After finishing with a Hefeweizen and some apple strudel, we strolled through the Oktoberfest tents in Alexanderplatz and wandered down Karl-Liebknecht-Straße until we reached the Berliner Dom. Claiming it’s place on Museum Island, the Berlin Cathedral is the most notable church in Berlin for not only it’s grandeur but anti-Nazi sermons during World War II as well. Touring around to visit the Bellevue Palace and Altes Museum, we eventually found ourselves at the Museum of Terror, an exhibition framed by pieces of the Berlin Wall. Complete with three separate installations hightlighting Hitler’s rise to power, the philosophy of the war, and the final years of World War II, the museum struck me in entirely new ways, even after learning about these events for years. Following the Museum of Terror, we made our way along the Tiergarten until we got to the Memorial to the Murdered Jews of Europe. Sombering from the first impression, the 4.7 acre site holding more than 2,000 slabs of concrete, paints a blurring and confusing pathway for visitors to walk through and get lost within. Underneath the Memorial we continued to find the museum highlighting postcards to loved ones and maps of the Nazi’s transport of Jews as they were shipped to concentration camps and eventually their deaths. After a quick stop at the Checkpoint Charlie museum we finished our night with a weiner schnitzel, Hefeweizen, and dessert pancakes from Alexanderplatz’s Octoberfest and prepared for another day of historic experiences. Waking up Saturday with the arrival of more friends and a plan to visit Brandenburger gate, we turned the corner of Unter Den Linden and walked straight into a festival celebrating German Unification Day! Celebrated on October 3rd since 1990, a spontaneous weekend getaway to Berlin happened to coincide with the 25th anniversary of Berlin becoming unified as one city again! We finished our weekend with a birthday brunch atop Berlin’s tallest structure, the Berliner Fernsehturm. The rotating restaurant took us 360 degrees around the city, all while serving delicious crissonants, cheese and prosecco (although it was a bit confusing to find the exit after awhile). When we finally made it out, we jumped into bike taxis, having our drivers race each other through the street, and eventually climbed abroad a river cruise along the Spree to recount our incredible weekend. While the German dresses may be expensive and beer glasses larger than most people’s heads, Berlin is one of the most surreal and historic places I have ever been and is definitely a city to push to the top of any wanderlust’s bucket list.